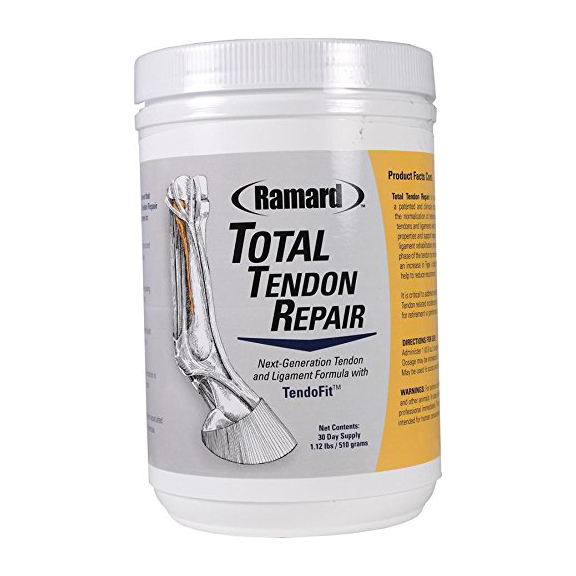 Deep digital flexor tendon (DDFT) injuries are a common type of tendon injury that occurs in performance horses. The horse's DDFT provides support to the fetlock joint, acts as a spring that stores energy upon movement, and stabilizes the leg under full weight-bearing load. The DDFT is found in the horse's front and hind limbs. In the front legs, it originates from three different locations---the humerus, ulna and radius---where it runs along the back of the horse's leg, down the carpal canal at the back of the knee, and through the tendon sheath at the back of the fetlock; at this point is where it widens and becomes flat, crossing over the navicular bone, descending into the foot and attaches to the back of the coffin bone, where it runs within the superficial digital flexor tendon (SDFT) and immediately over the suspensory ligament. In the horse's hind legs, the DDFT starts from two different locations at the tibia, where it runs down and into the coffin bone. DDFT injuries are described according to lesion location and appearance---which can only be diagnosed through the use of an ultrasound, MRI, or tenoscopy---are usually seen within the body or borders of the tendon as enlargements, focal core lesions, mineralizations, shape changes, and marginal tears. 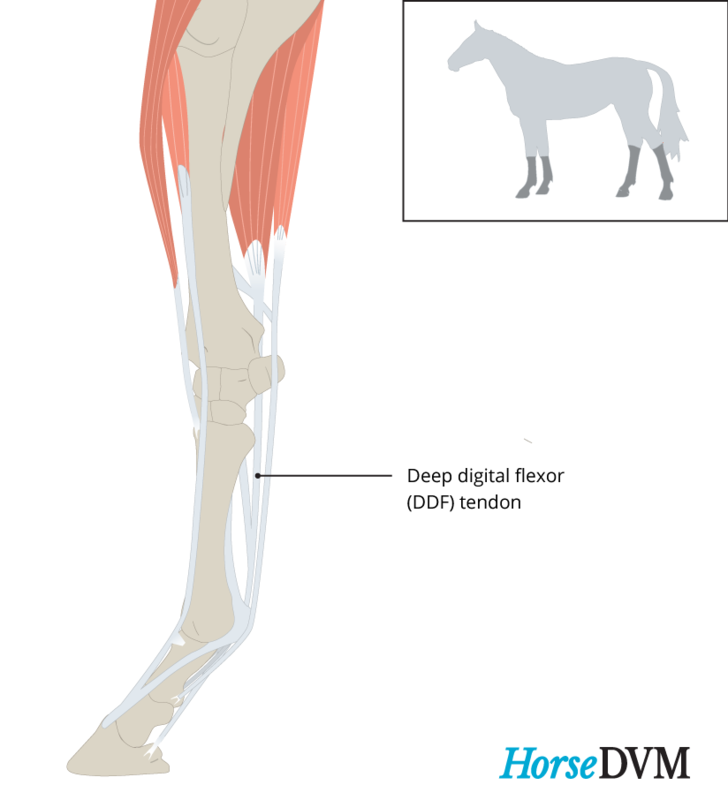 The most frequent location DDFT injuries occur in horses are in the hindlimbs, at the tendon sheath or within the hoof capsule. Damage to specific areas of the DDFT are seen often in correlation with the primary athletic activity of the horse. For example, forelimb DDFT injuries occur more often in the pastern region in endurance, polo, and barrel racing horses. DDFT injuries occurs most frequently in the foot region of the forelimbs and hindlimbs of middle-aged performance horses. Increasing workload gradually rather than abruptly. 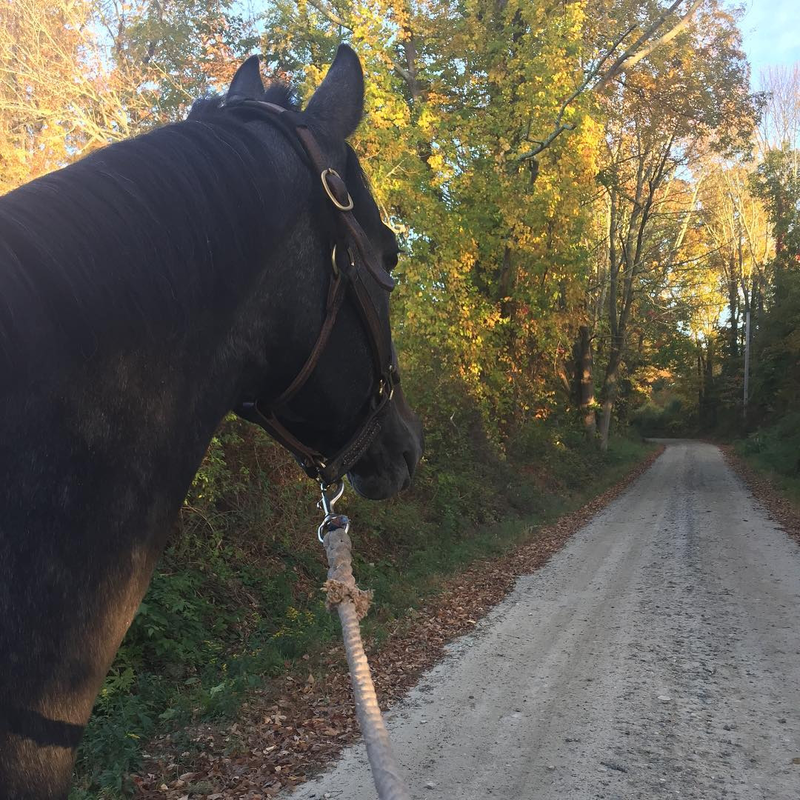 Prognosis depends on the severity of the injury, presence of concurrent injury to other areas in the foot, type of athletic activity, and how well horse owners follow veterinarian's recommendations for treatment. Muscle fatigue: Horses which are overworked alter their stride characteristics which change the distribution of forces placed on the tendons. Contralateral limb lameness: Horses which are hurting in another leg will try to compensate by placing more load on the alternate leg.